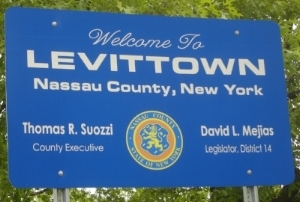 Levittown, named after its builder Levitt & Sons, Inc., was developed between 1947 and 1951 with backing from the Federal Housing Administration. This first and largest mass-produced suburb prohibited lease or sales to non-white residents. When Congress gathered to vote on the Fair Housing Act in 1968 it had been less than one week since the assassination of Martin Luther King, Jr. Many Americans believe that these divisions are de facto—a phenomenon with a variety of explanations but not because of any laws. This is a myth, says Richard Rothstein, researcher and author of The Color of Law: A Forgotten History of How Our Government Segregated America. He points the finger directly at the federal government’s housing policies in the early and mid-twentieth century. “Government participation in creating segregation of neighborhoods in every metropolitan area and ensuring that African Americans and whites could not live near one another was so powerful, so systemic, so thoroughgoing at all levels of government that we have a system that is as unconstitutional as segregation of water fountains,” Rothstein said at an Arlington Reads lecture. 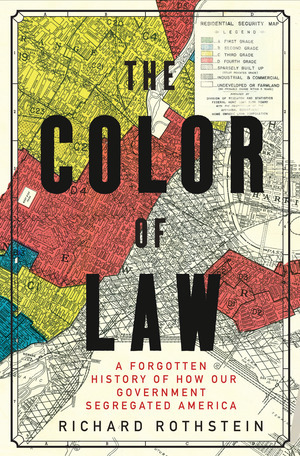 Ironically, the law Congress passed on April 11, 1968, aimed to remedy the very federal policies that had created and deepened housing segregation to begin with. But, Rothstein says, segregation was no secret. Public housing built in the depression and World War II era was explicitly divided by race, creating racial divisions that did not exist in cities all across the country. Suburban developers were granted loans from the Federal Housing Administration (FHA) if they agreed to sell to white people only. The FHA’s manual encouraged developers to create physical barriers such as highways or walls to keep African Americans out, and included a clause in the deeds that the homes could not be rented or sold to anyone who wasn’t white. While the Fair Housing Act may have put a stop to the most blatant discrimination, Rothstein says it has left a legacy of segregated neighborhoods that in turn birthed school segregation and the academic achievement gap, health disparities, and racial polarization that haunt our society today. And, other lawful policies remain that reinforce segregation. Rothstein argues that zoning ordinances that have minimum lot requirements or reserve land for single-family homes, Section 8 housing, tax credits for builders who develop housing for low-income people, and subsidies for mortgage interest deduction contribute to ongoing racial divides in our neighborhoods. Join the Alliance for Housing Solutions on June 18 for a conversation about the effects of housing segregation on Arlington’s neighborhoods and what can be done to improve access, inclusion, and opportunity in our community. Keynote speaker Senator Tim Kaine will share from his personal experiences as a fair housing attorney and address current issues in Congress. Panelists include leaders from Arlington's historically African-American neighborhoods, experts on housing and civil rights, and local leaders in the public and private sectors. Learn more and register for the 2018 Leckey Forum: Confronting Diversity – Housing Policies for a Truly Inclusive Community.